New Year’s Eve returns to The Knickerbocker Hotel with an over-the-top celebration and the closest live view of the event in the world. 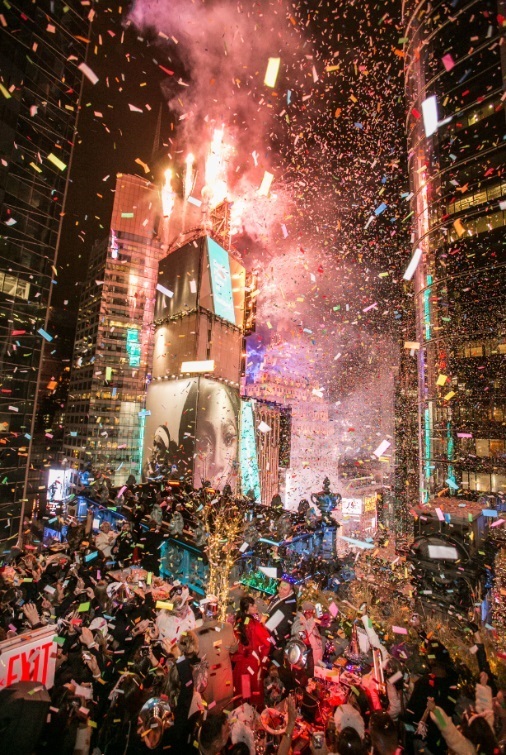 The luxury lifestyle hotel, located just 150 feet below the world-renowned Times Square New Year’s Eve Ball on the corner of 42nd Street and Broadway, announces four exclusive New Year’s Eve packages. Each package includes tickets for two to the exclusive rooftop party at the hotel’s St. Cloud Social bar and lounge, as well as an overnight stay in serene luxury accommodations. The Platinum Package: Reserved outdoor seating for the night with the closest view of the Ball Drop, ultra-premium bottle service by dedicated service staff, personal heaters and blankets. The Gold Package: Reserved outdoor seating for the night with a view of the Ball Drop, dedicated service staff, personal heaters and blankets. The Silver Package: Reserved indoor seating with dedicated service staff. No view of the Ball from the seating, but access to the outdoor terrace all night. The Bronze Package: Standing room only with access to the outdoor terrace all night. All packages include access to a premium open bar for the duration of the event, as well as a champagne toast at midnight. Celebrity Chef Charlie Palmer will offer a menu of passed gourmet hors d’oeuvres, as well as decadent food stations. For respite after the revelries, overnight accommodations in one of the hotel’s luxurious 330 guestrooms, including 27 Junior Suites and four Tribute Suites is also included with each package. Acclaimed entertainer, DJ Sam French, is back again to ring in the New Year at The Knickerbocker Hotel. Versatile and highly sought-after, DJ Sam French will play custom mixes, setting the soundtrack for the joyful evening, and sure to keep the dancefloor packed for the entire soiree. St. Cloud Social rooftop also features three plush private Skypods, situated at the epicenter of the festivities, that can accommodate groups of 12 to 25 guests. Guests seeking a more exclusive VIP experience may reserve a Skypod for $75,000 to $125,000.